I was talking with friends in the UK this morning sharing stories about some of the creative edges where the Spirit is gestating forms of Christian life that are so encouraging and, potentially, transformative. These stories are about people operating outside the usual boxes of what it means to be church. They’ve formed table churches in their neighborhood, a hairdresser, without planning to do so, has formed a community of people in the shop who are talking about life with and without God. And on it goes – the bubbling of the Spirit in the ordinary. I long for existing churches and their leaders to join this ferment. It doesn’t come from big programs, central planning or a leaders “vision” but listening to what God is doing ahead of us in our communities. Wherever I go leaders keep asking: How do we do that? How do we listen to where God is out ahead of us fermenting a new future? There are many ways and I want to explore some of them in the future posts. But for now, here’s an example of how we might listen and ask: What is the Spirit doing here? How might we listen differently because of this? 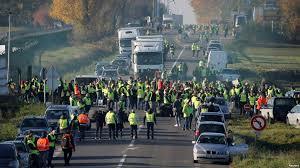 I was reading about the protests in France in this weekend’s New York Times (https://www.nytimes.com/2018/11/17/world/europe/french-drivers-protest-fuel-taxes.html) then, on Monday saw a similar report in the on-line blog UnHerd (https://unherd.com/2018/11/forgotten-france-driven-streets/). The reports caught my attention because I sensed that this wasn’t just one more set of demonstrations. Something different was happening. Somewhere inside there came a sense of “pay attention, don’t just pass this over for the next page or blog post”. At a superficial level we might give these reports a French shrug: “This is the kind of thing the French do. They have a lot of what American’s call entitlements and protest whenever a government tries to limit them”. I sensed that this response would miss something really important. Read the these articles I saw that these were no ordinary protests. They weren’t the routinized, organized demonstrations of labor groups or students seeking more of something or the change of a government regulation affecting them. The precipitating factor for these protests is something many of us can identify with: additional taxes on gasoline from governments hungry for revenue. But dig a bit deeper than people not wanting to pay more for gas. As Alissa Rubin points out in the NYT article, this tax goes to the core of how many French people are barely managing the basic needs in life. Gas is a modern equivalent to the ways in which the Ancien Regime increased the price of wheat just before the French Revolution. Wheat, in that case, was more than a symbol, it was how workers survived in hard economic conditions. Wheat was, literally, their bread of life. Gas, for many in our car dependent societies, is that today. It is the key to their ability to get to work, connect with others and ensure life’s basics. It’s become too costly thereby threatening people’s ability to live. While nobody is saying that France is on the brink of another Revolution there are social conditions in which broad segments of the population feel threatened, disconnected and distrustful of the social, economic and political conditions shaping their lives. It parallels the experience of factory workers around Paris in the late 1960’s that led to the uprisings of 68. One is not trying to draw straight lines between this protest movement and social upheaval. This is more more about the question I am continually asked of how we listen to the ferment of the Spirit among us in our neighborhoods. We never know how these moments turn out; prognostication is silly. That said, there is no denying that the fabric of social, economic and political life that has shaped Western societies in its neo-liberal forms since at the 1970s is coming apart. The unravelling is picking up pace. Something deep, pervasive and profoundly disorienting is in the process of taking over Western democracies despite the smugness of some governments (as in Canada) that claim they have a handle on the situation. 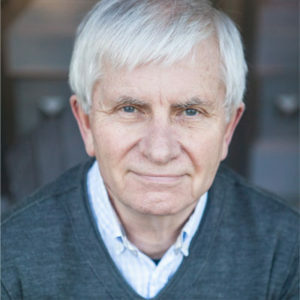 In the midst of all this I believe the Spirit is gestating something of God’s kingdom that the churches keep missing in all their anxious attempts to reform, fix and remake themselves. In this situation I keep dwelling with friends in Acts 16 where Paul and his companions, frustrated by the Spirit’s “preventing” them carrying out their plans for church planting, are given a vision of a “man of Macedonia”. There isn’t a lot of clarity around this man’s call. Indeed, the language is like an inarticulate groan, a call for help where there’s not yet language to be precise about what the help means. As I read these two articles I couldn’t shake this sense of the groaning that is happening among people all around us as our norms of social, economic and political life unravel. The solutions offered by the churches (more church planting, more training the trainers to learn how to be present in neighborhoods, more reform etc.) are more like descriptions of what the Spirit is preventing than any attempt at listening to this unravelling in people like Corentin and Sylvie in order to discern the Spirit’s ferment. There are ways of doing this, there are ways for God’s people to join the edges of this ferment. Posted in God's Agency, Practices, Refounding God's People•2 Comments on What’s Driving this French Revolution? sie nehmen Vorteil von iihm bin ich mir sicher.